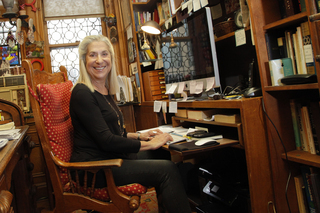 Letty Cottin Pogrebin, a founding editor of Ms. magazine, is a writer, lecturer, social justice activist, and the author of eleven books -- nine nonfiction works and two novels. On this website, you'll find her biography, a list of all her published works, lecture topics, and a schedule of her public appearances, past, present, and future. Enter your email address below to subscribe to Letty's now-and-then Newsletter on politics, culture, women's issues, Jewish community affairs, and Israel/Palestine. Click on "Upcoming Talks" tab above to see Letty's 2019 speaking dates and book talks. "Pogrebin is a writer of great depth and soulfulness, and with this book she catapults herself into the ranks of novelistic royalty. Her lovely prose gets to the very heart of what the heart wants, while also mining the legacies and commitments that define the rich history of African Americans and American Jews." —Thane Rosenbaum, author of Second Hand Smoke and How Sweet It Is! "The best book I read this year. Don't let the title fool you into thinking only Jewish people will enjoy it. My husband and I couldn't stop fighting over our copy. I can't say enough about how much we loved it."